Looking for ABB Variable Frequency Drives (VFD)? Get a quote fast. For a high quality variable frequency drive. ABB VFD’s effectively control, optimize and protect your motor by varying its speed during moments of low demand. ABB drives extend the lifespan of your motor while saving you on energy costs and reducing maintenance. Whether you need an HVAC VFD, a pump VFD or a general purpose VFD, ABB has a VFD for every application. Outfitted with built in cooling systems to counteract the harmonics and heat produced by the motor processes, ABB VFD’s are built to handle even the harshest environments. We’ve got all your ABB VFD’s. When you choose ABB for your VFD, you’ll get all the innovation behind the ABB brand. Choose from a number of top of the line ABB VFD’s for use in your VFD control panel. Bay Power carries a variety of product and model numbers including the ABB VFD ACH550 among many others. Whether it’s a low voltage motor application or a medium voltage motor application, ABB has got the solution to help increase your productivity and maintain your motor. Bay Power is an authorized solutions provider for ABB Drives, including the popular ACS lines like the ACS550 Drives. 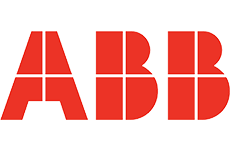 We work directly with ABB to get you the right product for your specific needs. Contact us with your specs and application needs today! Have any old or unused ABB Variable Frequency Drives (VFD) lying around? Don’t get rid of them just yet. While we stock a wide range of quality electrical products and solutions, both new and reconditioned, we also buy back your unwanted equipment. So, before deciding what to do with your old ABB Variable Frequency Drives (VFD) and components, have one of our expert technicians take a look to see if we can save a few parts, save the environment, and save you some cash. Great service shouldn’t end after the purchase. We pride ourselves on the relationships we build with our customer-first mentality and the quality of our ABB Variable Frequency Drives (VFD) and components. That’s why we offer a 1-year replacement warranty on all of our electrical products and solutions from the top manufacturers. Because when you buy with Bay Power, you buy with confidence. We are proud to stock a variety of competitively priced, new and reconditioned components from the leading manufacturers of ABB Variable Frequency Drives (VFD). Thanks to our extensive inventory of ABB Variable Frequency Drives (VFD) and components, our resourceful and expertly trained staff will always be able to get the products that you need. Through our extensive network of suppliers, we are able to carry and acquire a huge variety of electrical products and solutions, so chances are if you need it, we can get it. Bay Power’s priority is providing you with reliable, high quality electrical hardware. That’s why our mission is to make sure our reconditioned electrical products and solutions function as perfectly as the day they were built. Because while the quality is high, the cost of ABB Variable Frequency Drives (VFD) shouldn’t be. 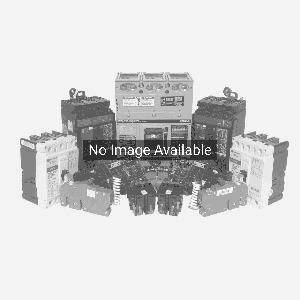 Our selection of new surplus ABB Variable Frequency Drives (VFD) may not arrive brand new in a box, but they function just as well, and have never had electricity run through them. All of the quality, none of the packaging, always with our 1-year replacement warranty.